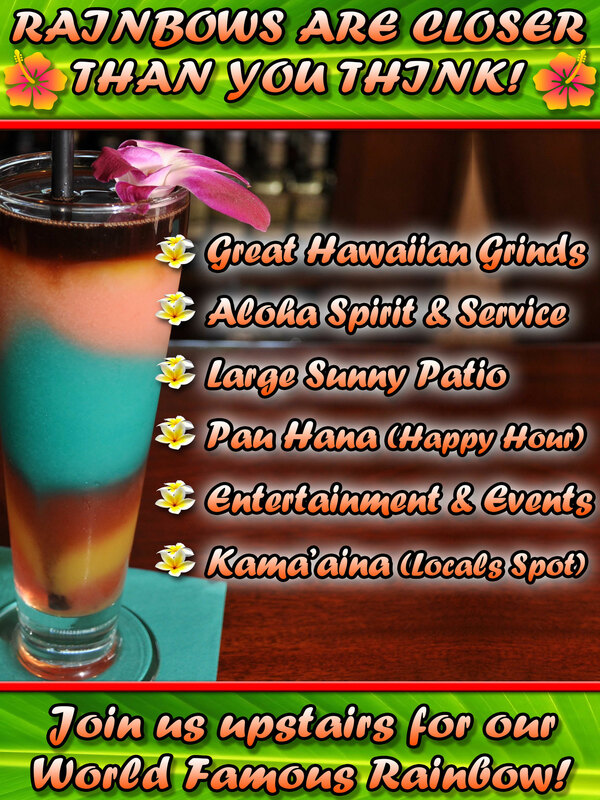 Aloha Grill is proud to serve Pacific Rim Cuisine including Pupus, Sandwiches, Salads, Entrees. Fresh Fish Daily, Keiki (kids) Menu. Breakfast is served Saturday and Sunday 10am - 1pm. 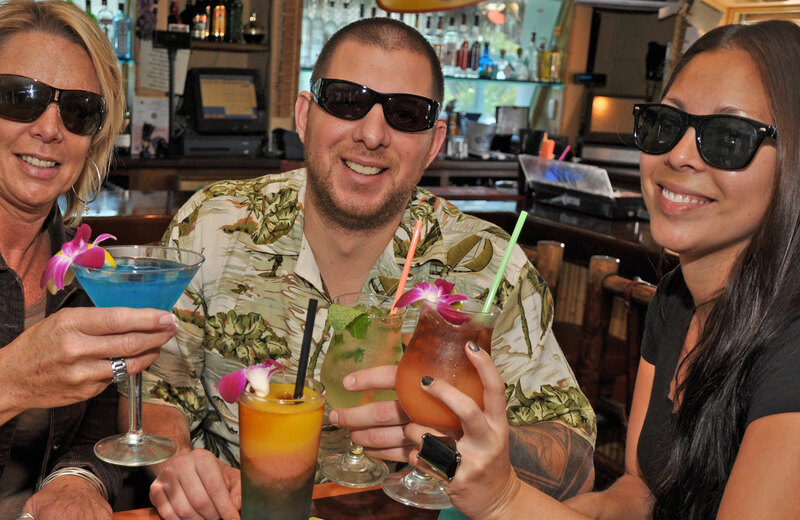 Plus a Full Bar, Beers, Wines and Specialty Cocktails! $2.50 Fish & Calamari Tacos! 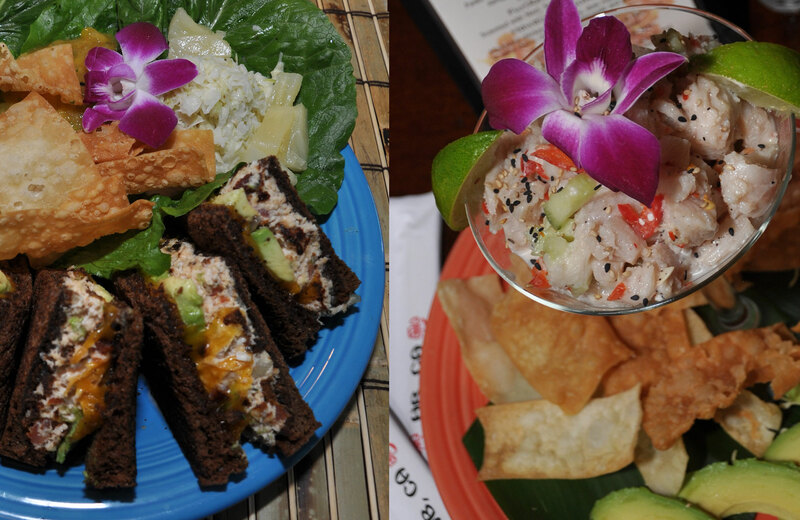 1/2 priced Select Appetizer Menu! Taco Tuesday 4 - 10pm! 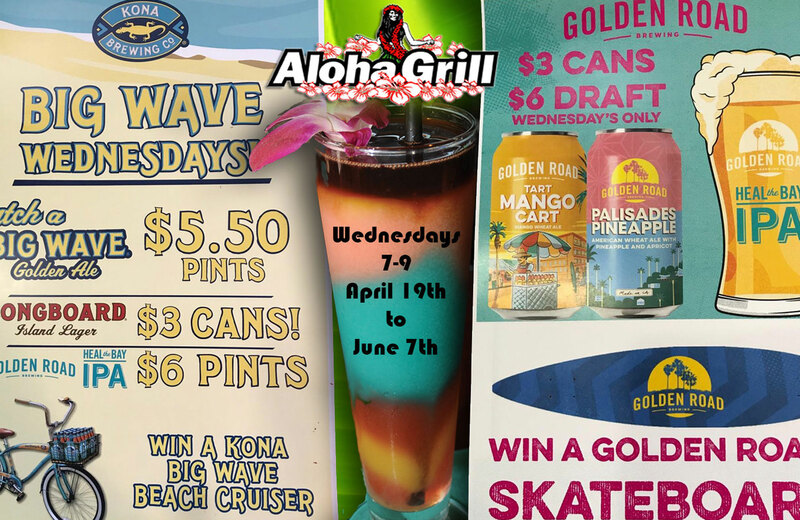 Drink Specials! Half off Selected Apps!